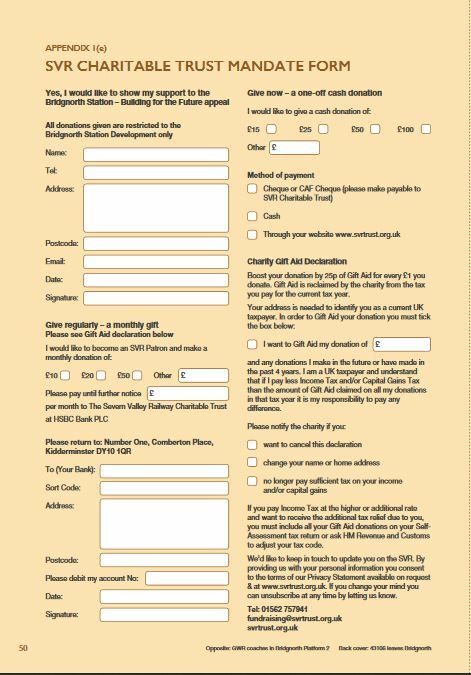 Please click on 2016 Share Offer for full details of the Railway's scheme in support of the Bridgnorth Development Project. You can also donate to this ambitious scheme through the Charitable Trust, and if you are a taxpayer, we may be able to apply for a further 25% Gift Aid, on your behalf, at no extra cost to you, making this a very efficient way of giving to the project. Please download a Bridgnorth donation form and see our page on the Bridgnorth Project. What a day we had! 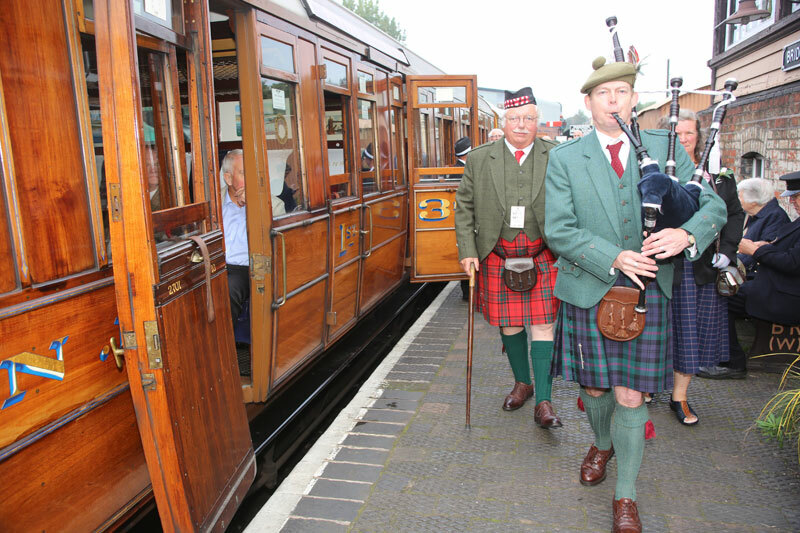 On Wednesday 21st September we hosted a truly spectacular event at the Severn Valley Railway, and we were delighted to welcome 1,200 of our loyal supporters to share it with us. You probably won’t be surprised to know that months of careful preparation and attention to detail went on to ensure that our event, and the five subsequent days of Pacific Power have been able to take place. Without the dedication and hard work of thousands of volunteers we couldn’t have done any of this, and we owe them a huge amount of thanks and appreciation. 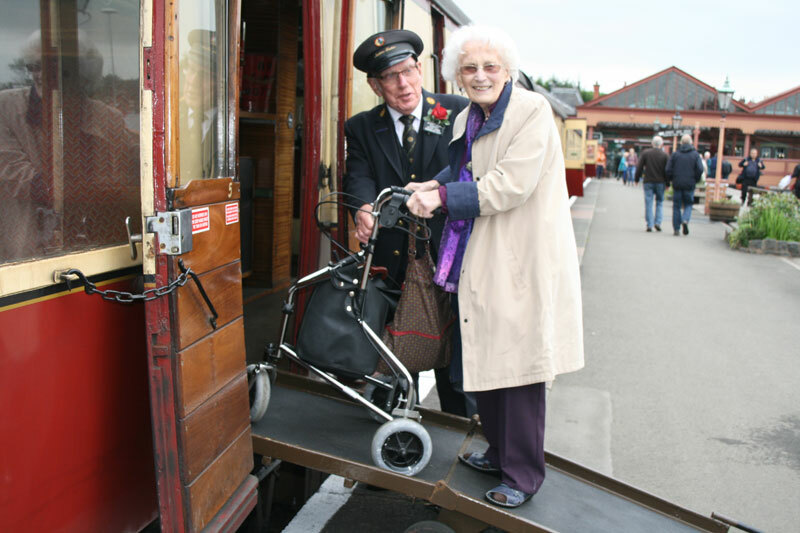 The Severn Valley Railway Charitable Trust has won £75,000 in a Department for Transport competition, for its ambitious scheme to transform the Railway’s travel offering for disabled passengers. The Trust took part in a national ‘Dragons’ Den’ style competition, pitching their project to a panel of senior government figures, including Lord Faulkner of Worcester, Sir William McAlpine, Mark Garnier MP, and Deirdre Wells of UK Inbound. More than 200 organisations applied for funding from the DfT’s Heritage and Community Rail Tourism Innovation competition, and the SVR was one of those shortlisted to pitch in person to the Dragons. The expansion of the Railway’s existing wheelchair-accessible fleet and the creation of a dedicated dining car mean that we’ll be able to offer charter and party facilities for large groups of people with disabilities. 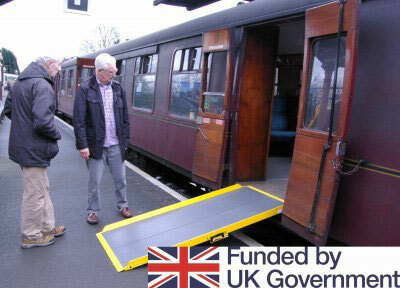 The third part of the scheme is the purchase of lightweight wheelchair ramps, to be carried in every adapted vehicle, including the ‘new’ dining car. The current station-based ramps are heavy and cumbersome, and because of security issues cannot be kept at every station and stop along the line. The new set of portable ramps will allow disabled passengers to get on and off trains at all stations and halts, giving them full access to all the attractions on the route. The DfT’s £75,000 will form part of the project’s overall cost. The remainder of the funding comes from the Charitable Trust’s own funds, those of Severn Valley Railway (Holdings) plc, and also includes an in-kind costing for more than 3,000 volunteer hours that will be worked on this project. 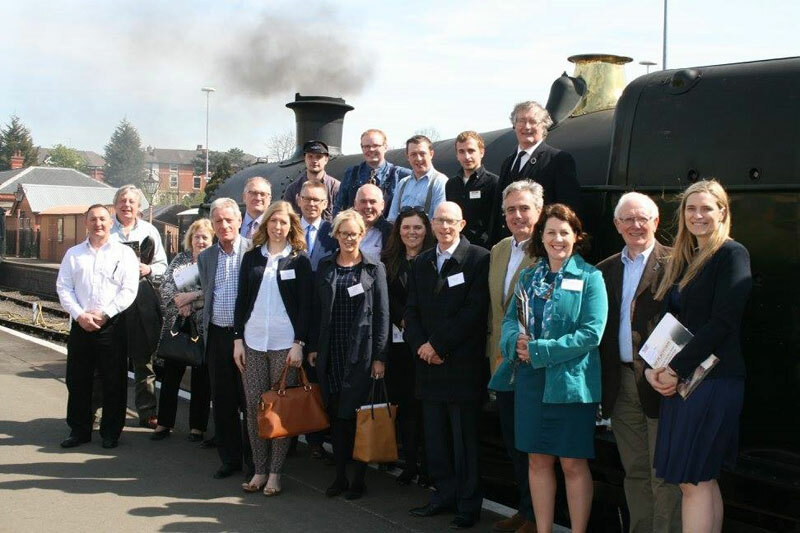 It was a bright and early start on 5th May, as a group of the Charitable Trust’s corporate supporters departed from Kidderminster on board the Observation Saloon. This was a special trip to thank them for their past support and to showcase the delights of the Railway. Mark Garnier, Wyre Forest’s MP, kindly hosted the event, and his personal love of heritage rail shone through as he outlined the economic and cultural importance of the Severn Valley Railway. As well as existing supporters, a number of other companies also joined us to learn about the Railway and what it can offer. There were strong indications that they would like to get involved with the Charitable Trust in the near future, both to support the Railway and to benefit from membership of our Corporate Partnership Club. The success of our Corporate Partnership event was due in no small part to the volunteers and staff who looked after us so well. Many thanks to 2857’s crew for turning out in the wee small hours to steam the engine ready for our journey, the other volunteers and staff who proved such informative guides, and the catering staff who produced a delicious breakfast. Representatives of the Charitable Trust were proud to join guests invited to the official opening of the Diesel Depot at Kidderminster. As one of the organisations that made a financial contribution, we are delighted to see the splendid job has been carried out on the design and construction of this new facility. During the course of the Spring Diesel Festival, more than 4,690 visitors came to the Railway, and many were very willing to make a contribution to the Charitable Trust as they undertook a tour of the new facilities at the Diesel Depot. Our bucket collections raised an impressive £1808.05, and because the contributions were made through the Trust, it will be possible to claim a further 25% in Gift Aid, making a total of £2260.06. All of this funding will be restricted to Diesel projects. “It was fantastic to see the generosity of visitors to the Diesel Depot during the Spring Diesel Festival weekend. We’ll be using the money raised on the Saturday and Sunday to continue to fit out the depot and improve the site further for our hard working volunteers”. We are delighted to report an enthusiastic take up of tickets by the Charitable Trust’s supporters for this special event on Wednesday 21st September. 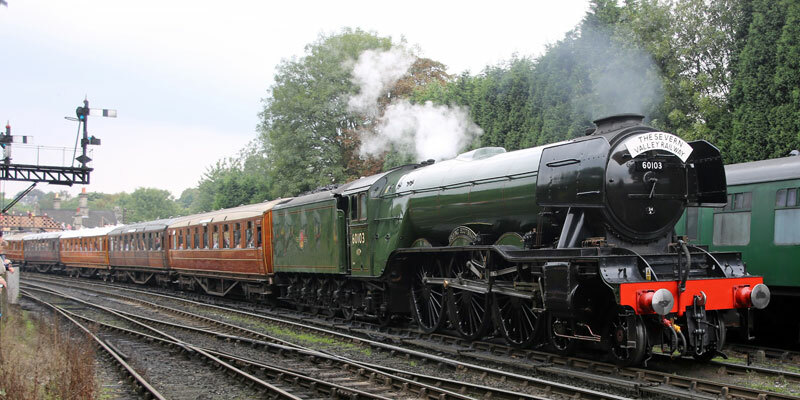 We are running three round trips from Kidderminster to Bridgnorth, when passengers will experience the ultimate in steam-hauled luxury. Each train will be formed of nine Gresley-designed teak carriages, and will be pulled in both directions by Flying Scotsman. We’re encouraging passengers to enter fully into the spirit of the day by dressing up in 1930s style. Thank you so much to everyone who responded to our invitation to buy tickets for this unique event. We will be contacting you soon to arrange payment, and in due course will be sending out tickets and full details of arrangements for the day. All proceeds from the day will be used by the SVR Charitable Trust to support the Heritage Skills Academy and fund future restoration and infrastructure projects on the Railway. 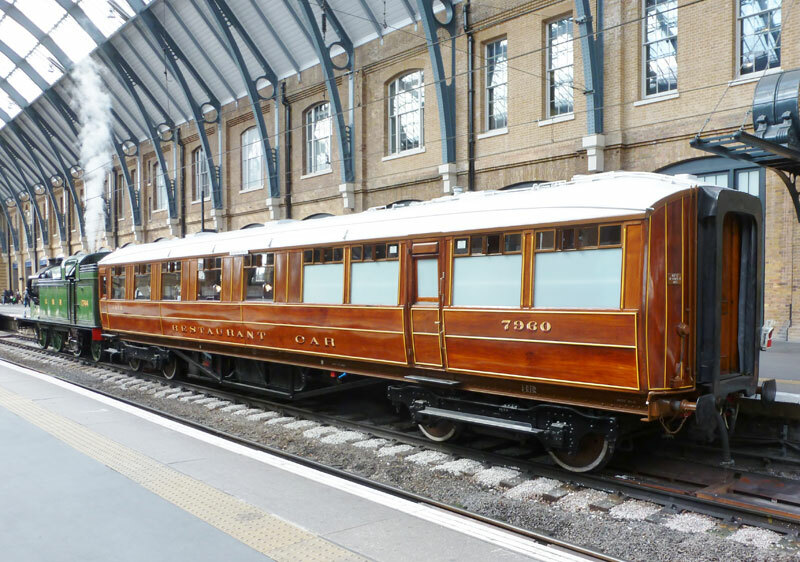 When Sir Nigel Gresley’s statue was unveiled during a recent ceremony at King’s Cross station in London, one of the stars of the show on Platform 8 was the SVR Charitable Trust’s Kitchen Composite carriage, No 7960. As the last surviving vehicle of its kind, its presence was a worthy tribute to its designer Gresley, one of the leading engineers of the steam age. Built in 1936 at Doncaster, 7960 was purchased by an SVR volunteer and arrived at the SVR in 1980 in a very sorry condition. During the final years of its service, the interior had been gutted to convert it to a mess coach for track workers, and its dilapidated state meant restoring it would be a long, hard task. The carriage’s subsequent owner, Phil James, was the driving force behind this labour of love, and led a small team of dedicated volunteers, working under tarpaulin, to carry out the early work. 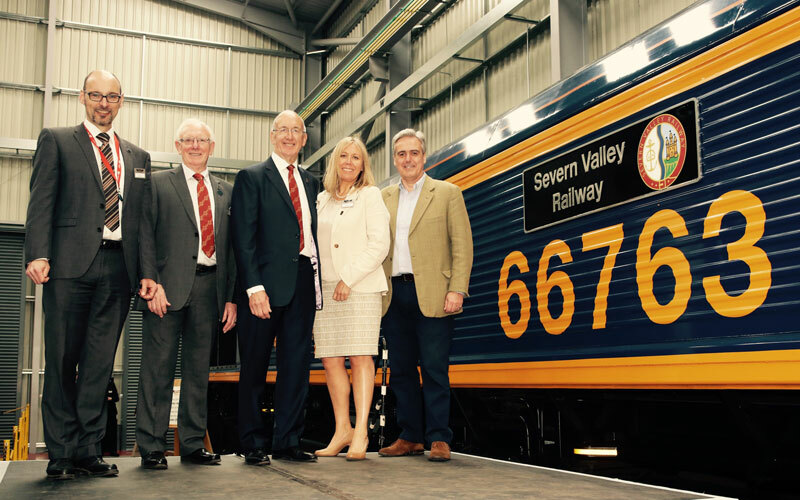 After Phil’s death, his family donated 7960 to the SVR Rolling Stock Trust, (which subsequently became the SVR Charitable Trust), and the restoration work was completed at the Carriage & Wagon Works in Kidderminster. A good deal of detective work was required to work out how the interior had originally been fitted out, and the preservationists had to use impressions in the wood as clues. 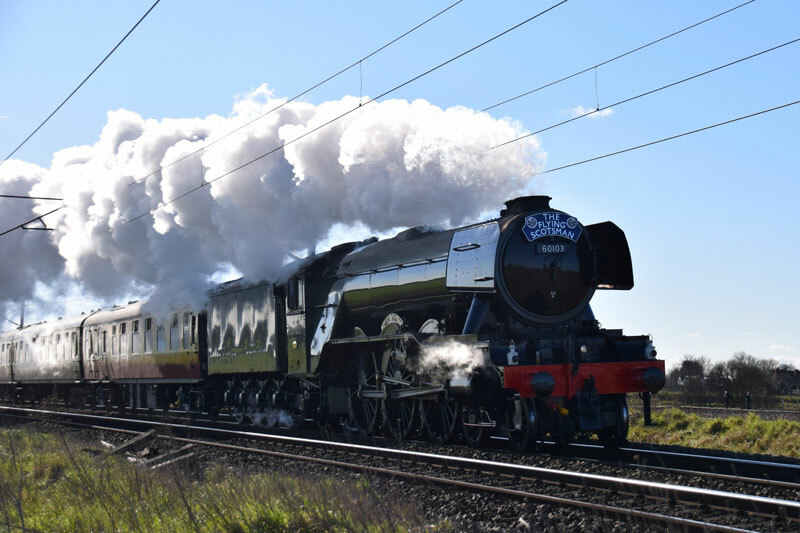 The Kitchen Composite will play another leading role between 22nd and 26th September, as it takes its place behind Flying Scotsman, when the iconic steam locomotive visits the SVR’s Pacific Power events.